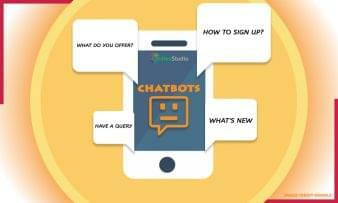 Live Chat systems can be very important to businesses for a number of reasons—namely to strengthen the relationship between (new and existing) customers and businesses. While there are a number of chat services and options, not all of them are ideal. So we decided to put Comm100 Live Chat software through the ringer to give an extensive review. 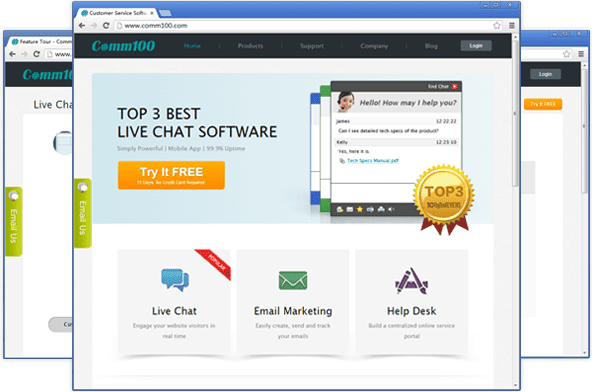 The Comm100 Live Chat service primarily serves as a customer service tool, which enables users to engage any and all website visitors directly and in real time via chat. While there are a variety of similar providers and services available, Comm100 looks to take a more user-friendly approach. In doing so, their Live Chat boasts a highly intuitive interface, reliability, security, flexibility, and greater mobility. Additionally, the provider also works to implement a level of customizability previously unfounded. With a variety of service plans, all of which denote recommendations for user types (startups, large teams, etc. ), Live Chat is ideally suited to accommodate every user. The provider invites users to sample the service themselves via a 15 day Free Trial, which is what I used for this review. 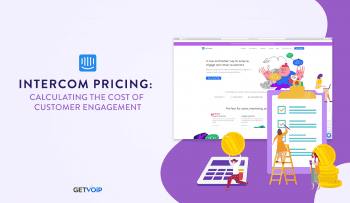 After the trial period ends, users can choose to further utilize the service via various pricing plans—i.e. Basic ($21), good for Startups, Professional ($29), best for lean teams, and Enterprise ($49), which is best for large teams. Installation can sometimes prove harrowing, especially for new(er), less experienced users. Luckily, here it was quick and sweet. In using Live Chat, there are a number of applications to choose from including mobile applications, a desktop version, and a web application. The primary difference between these options lies in downloads. For the web application, users do NOT need to download anything. Inversely, with the Desktop application, users will need to download a zip file containing three files: Read Me, Step 1: Install Adobe Air (skip this if you already have it installed), and Step 2: Install Comm100 Live Chat. As the image shows, users can choose to add a desktop shortcut and/or launch the application directly after installation. Also, users can view/change the location of the installation files. After all preferences have been selected, users need to click “continue” to advance. From here, Live Chat installs and brings you to a log in page, where users need to enter an email and password for their account. Once this is done, the chat window will appear. For the web application, again no downloads are necessary. Instead, all that’s necessary is log-in information, including user’s full name, email, password, and phone number. Once this information is entered (and an account is made), users will be brought to the main Control Panel/Web Portal page, which is where users can launch Live Chat Windows as well as manage/edit every aspect of the service and their account. The Control Panel menu works similarly to an online web portal, as users can access and manage/edit all aspects of their account. The menu layout is pretty straightforward and simple, which definitely helps in managing one’s service. Everything is collected and collated under two simple tabs, Live Chat & My Account. The Live Chat header deals with all the amenities of the actual service. As such, this is where all the functionality regarding system usage and management is collected. Here, users will find all operability including: Dashboard, Online Chat, Installation Code, Customization, Settings, Chats & Offline Messages, Reports, Plugins, and Desktop and Mobile apps. Ultimately, this is the central hub for the live chat service as users are able to tinker with nearly every aspect of service. For example, the Settings menu includes both Basic Settings (which include Offline Message to Email, Canned Messages, Departments, Multiple Code Plans, and Canned URLs) and Advanced Settings (which include Auto Accept Chat Requests, Chat Settings, Auto Invitations, and Ban List). Each of these options is isolated, which makes accessing, editing, and managing all the easier. Separate from this, the My Account banner breaks down account information a bit differently. This menu includes the more administrative aspects of one’s control panel. As such, here, users view all their account information through menus including: Dashboard, Billing Info, Balance History, Operators, and Others. The overall functionality of this banner works very differently from the other in that it allows users to view/edit account information as opposed to account amenities. For example, here the Dashboard menu denotes “Operators and Products You Already Have”—which shows the number of operators on your account, as well as the services currently being rendered. From here, users can also add services not currently being utilized. Also, if using the free trial version, users will find the amount of time left on their trial, as well as a Buy Now option. Comm100 Live Chat actually lives up to its boasted intuitiveness. Each and every menu is very well organized, which not only makes navigation easy, but management simple. Outside of organization, the language is kept very accessible, too—meaning each and every menu and category is worded clearly. Furthermore, each menu and category (except for the Install Code and Customize pages) is fit with its own icon (or image), which reinforces clarity even more so. So, for example, if a user wanted to view statistical information, more specifically their chat metrics, they’d simply go to “Reports” under Live Chat banner. Here, users will find chat metrics clearly labeled and fit with icons. This is repeated for a variety of other statistical and metric information for other areas including Chats, Auto Invitations, Search Engines, Search Words, Ratings, Operator Online Time, and Operator Performance. The Live Chat Visitor Monitor, i.e. the Desktop Chat Window, can be accessed in two ways: 1) by utilizing the desktop version, or 2) by going through the web portal (Live Chat>Get Online & Chat). Once here, users will notice the layout of this window is much different than that of the Control Panel; however, most of the same functions remain in tact. At the top right users will see three drop menus: Settings, Control Panel, and the Account Name. Settings: Here users can view and edit preferences for settings including Chat, Sound & Popup, Columns, and Others. Control Panel: Accessing this launches another window with the Control Panel/Web Portal menu detailed above. Account Name: Here, users can select their availability status (online or away), exit the window, and/or logout of the account. Aside from these options, there is also a white box with three tabs (Operators, My Chats, and Visitors) running vertical on the left hand side of the screen. Operators: Lists all available operators. Users can also add operators by clicking “Add Operators”. In doing so, a new window will bring you to the Control Panel/Web Portal under My Account>Operators. Here, users can again view and edit current operators, as well as add new ones. My Chats: Lists all chats. Also, users can go to visitor lists to invite new visitors. To do this, users need to install their live code (click the link>brought to LiveChat>Install Code). Or, users can simulate a visitor, which alters your visitor’s page. Visitors: This is where all visitors and chats are logged. From here, users can view Visitor Information, Operators, and Current page. Furthermore, users are also able to track visitors as they browse the website. Additional info (given in real time) is also made available—i.e. location, search keywords, navigation path etc. Essentially, the actual live chat window is a more stripped down version of the Control Panel/Web Portal page. Here, users will find all they need for basic functionality and usage; however, anything past that is found on the control panel menu. Regardless, the point of this window is to offer function of the live chat, and in that regard it succeeds. However, it links to the control panel/web portal often, which begs the question of why not just fuse the two fully? While they are to some extent, it might serve Comm100 well to include everything in one window. Comm100 Live Chat boasts a wide array of features and functions, which work to optimize Flexibility and Customizability, Simplicity, and Scalability. While this range of options could, and to some extent does, bog down operability a bit, there is a simplicity that is generally retained. First off, users are able to inject individuality into just about every aspect of the service, including Chat Buttons, Chat Window, Invitation, Pre-Chat, Offline Message, Rating, and Language. This can all be accessed directly from the main Portal under Live Chat and “Customize.” From here, users will see the tool bar, which spans all the options mentioned above. Users can tinker quite a bit. For example, in customizing chat buttons, users can alter Type (Image Button, Text Link, or Monitor Only), Style(Static Image Button, Float Image Button, the position, and pixels/percentage), and even Button image (online and offline images). Past this, users can also alter the Chat Window by changing colors, editing the title, changing the branding image. Aside from these options, there are plenty more. Comm100 really gives users a number of tools to customize their windows. This is great as users are able to inject individuality, which helps businesses distinguish themselves from other companies. For example, users can utilize colors to reflect their own brand’s color theme. Additionally, users are able to use Live Chat over multiple websites. Customization can help differentiate chat from site to site, too. Live Chat can also be used to build customer relationships. For example, users can send Chat Invitations to promising customers. The effectiveness of this tactic depends on how the business utilizes the tool. For example, with the wrong wording, an invitation could come off as spam; therefore, users want to be sure to optimize and personalize their words as much as the design of the invitation. As described in the Live Chat Visitor Monitor, users are able to select their availability status as online or away. Furthermore, users can choose to be offline, too. As such, Live Chat can take messages and forward them to users’ emails. Or, the chat option can be hidden/made unavailable during this time. Live Chat is very useful in helping users to prepare also. The service offers Pre-Chat Surveys, Chat Routing, Canned Response, Typing Indicator, and Teamwork. Each of these offers something different, but works to keep both customers and businesses on the same page. For example, businesses can offer Pre Chat Surveys, which enables customers to enter information before a chat request. As such, businesses are better able to cater to said customer on a more individual basis. Additionally, features like Chat Routing help businesses delegate chats evenly—i.e. users can set the max number of chats they can take at one time and chats are assigned accordingly. Also, typing indicator works nicely to keep an open dialogue with users. For example, if a user asks a question the typing indictor will display that the operator is typing—informing the customer that they are being taken care of. Inversely, this also works to show when the customer is typing, which helps users stay on top of conversations. While all these features and functions might seem a bit intimidating, Comm100 does utilize simplicity and versatility rather well. For example, to inject Live Chat into one’s site all that’s needed is to copy the code, which is provided (Live Chat>Install Code). 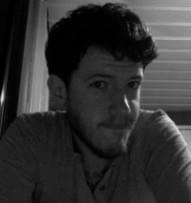 Furthermore, one doesn’t need to worry much about interoperability as Live Chat works well with all major browsers—i.e. Internet Explorer, Google Chrome, FireFox, Safari, etc.—as well as operating Systems—i.e. Windows, Mac, and Linux. For this review, Live Chat was used with Windows 7. Expanding on interoperability, Comm100 also includes integration for Shopify, WordPress, Joomla, and Salesforce—all of which are available on the Control Panel/Web Portal (Live Chat>Plug-Ins). Lastly, in regards to mobility, there are mobile apps available on iPhone, iPad, Blackberry, and Android Oss; therefore, users don’t have to worry about mobile compatibility. There are all found via Control Panel/Web Portal (Live Chat>Desktop & Mobile Apps). Live Chat benefits from a highly intuitive and well organized layout. As such, this chat service is great for any and all types of businesses. The menu organization is crystal clear as every section is accounted for with an appropriate heading and title. In using the service I never once found the language to be too technical. Aside from language, Comm100 utilizes visual cues very well too. The majority of sections and options have little icons next to the wording. This helps users easily identify and differentiate options nicely. The only real hiccup I found was the disconnect between the Control Panel/Web Portal and the Live Chat Visitor Monitor. While the monitor is supposed to encapsulate all features and functions, it often links back to the control panel. This isn’t terrible, especially since this opens in a new window, it just seems a bit of an unnecessary step. Why not just make the Visitor Monitor all encompassing? Though this might be to keep the monitor simple and more usage driven, it’s still a bit curious; however, by no means is it a deal breaker. Customer Support is the one and only area I’d like to see better fleshed out. First and foremost, the Control Panel/Web Portal features a “Chat with Comm100” at the bottom right of every page. This is absolutely great. In contacting Comm100, I was helped within a minute. A knowledgeable representative was able to answer all my questions quickly and clearly. In fact the whole exchange took less than 3 minutes—that includes time to connect. In this regard, the support is absolutely great. However, outside of live chat, there doesn’t seem to be many customer support options. While the provider itself offers problem ticket, help desk, and knowledgebase solutions, this doesn’t extend to users utilizing Live Chat. However, with live support as quick and helpful as the live chat proved to be, there might not be a need for much more support. Regardless, it’s nice to have options, and in that regards Comm100 might benefit from some more expansive support features. Comm100 Live Chat service is pretty well rounded and accessible; however, it never once surrenders extensive functionality. The service definitely benefits from precise organization, clear language, and intuitive design. Additionally, the provider allows for greater scalability and flexibility through various service plan options, which are based around users’ size. In regards to workability, Comm100 Live Chat is well suited to work on a number of different devices (stationary and mobile), operating systems, and browsers; therefore, users don’t have to dwell on comparability issues. 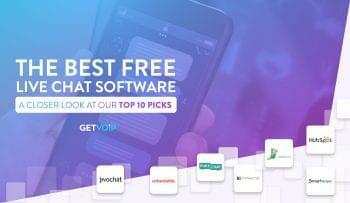 Overall, Comm100 Live Chat is a great solution for both new and experienced users. While its support may leave you wanting a bit more, the service more than makes up for it on other fronts.